Mobile Opportunity: Is Symbian dead? And if so, who killed it? Is Symbian dead? And if so, who killed it? "We should declare victory and go home." I hesitate to write anything about Symbian, because it's a great way to get branded a parochial American, or an Apple fanboi, or a "member of the US-protectionistic mobs braying for blood," to paraphrase a comment from a tech discussion forum in the UK this month. But there's been a huge cloud of smoke and very little light in the recent online discussions of the changes at Symbian. Is Symbian dead? Is it stronger than ever? What's really going on? I wanted to see if I could make sense of the announcements. Besides, there are some important lessons from the Symbian experience, and I'd like to call those out. Here's my take on what's happened: The business entity called Symbian was originally designed to prevent Microsoft from controlling the mobile OS standard, without having Symbian itself seize control over the mobile phone companies that funded it. In that task it succeeded. However, as a company run by a consortium, Symbian's governance was politicized and inefficient. This left Symbian woefully unequipped to compete with Apple and Google. A different approach was needed, and Nokia's new management has finally come to terms with that. As a result, Symbian as an organization is now defunct, and Symbian as an OS is becoming background infrastructure that has little relevance to the mobile platform wars. There are two things named Symbian: Symbian the company and Symbian the OS. Some of the confusion this month was caused by people mixing up the two things. Symbian OS began as EPOC, the operating system used in Psion's handheld devices. EPOC was spun out of Psion in 1998 as a separate company called Symbian, co-owned by Psion and most of the leading mobile phone companies of the day, led by Nokia. The idea was that all of them would use the renamed Symbian OS in their smartphones, enabling them to put up a unified front against Microsoft, which they feared would rule the smartphone market. Over time Nokia came to be the dominant manufacturer of Symbian OS phones outside of Japan, largely (in my opinion) because the Symbian phones made by other mobile phone companies didn't sell well. Eventually the other mobile phone companies no longer wanted to pay for a joint venture that was mostly just supplying software to Nokia. Linux was gaining momentum as a free, open source mobile OS, so the Symbian partners, led by Nokia, decided in 2008 to convert Symbian OS into an open source project. Nokia hired most of the Symbian engineers, and gave away their code through the foundation. Symbian the company was replaced by the Symbian Foundation, a nonprofit tasked with managing the open source process and encouraging other companies to sign up to use the software. The idea was that Nokia, the other Symbian licensees, and a growing hoard of academics and developers would work on various parts of the OS, contributing back their modified code to the shared base. The move to open source kept some level of engagement from several other mobile phone companies, most notably Samsung and SonyEricsson. --The Symbian Foundation is being dramatically scaled back to "a legal entity responsible for licensing software and other intellectual property, such as the Symbian trademark." (link). In other words, it's just a shell. Symbian is now truly Nokia's OS. Nokia will plan, develop, and manage the Symbian code base, and distribute it directly to anyone who still wants it (presumably DoCoMo). You can read a biting commentary on the changes here. --At the same time, Nokia reaffirmed an announcement it made in October that it is focusing all of its application development support on the Qt software layer that it purchased several years ago (link). Qt will now apparently be Nokia's one and only application layer, deployed on both Symbian and the upcoming MeeGo OS being codeveloped with Intel (link). --The EU is putting 11 million Euros into a new organization, called Symbeose (which stands for "Symbian – the Embedded Operating System for Europe"), which will help fund the development of advanced Symbian OS features, including asymmetric multiprocessing, dev tools, memory management, image processing, video acceleration, speech to text, mobile payment, multimedia formats, and embedded systems beyond mobile. There are two semi-conflicting explanations of what Symbeose is all about. Some people say it's aimed at turning Symbian into an embedded OS that can run in all sorts of devices (why Europe needs that instead of Linux is unclear to me, but you can hear some discussion of the wrongheaded North American mobile paradigm here). Others say the intent is to resurrect Symbian OS as a smartphone OS used by companies other than Nokia. In a presentation, Symbian Foundation said the investment is intended to "combat mobile device and service homogeneity exemplified by Android and iOS" (link). Apparently taxpayer support is needed because Nokia isn't willing to pay for some infrastructure needed by other phone companies (link). A Symbian Foundation employee explained: "I would say that the main focus of the developments will be advancing existing, as well as building new tools and services relevant for smartphone manufacturing at the beginning of the manufacturing process. We want to make it easier for any manufacturer to take the Symbian codebase and develop new smartphones" (link). Symbian isn't dead. It's just irrelevant. After the announcement, Nokia professed its strong support for Symbian OS (link). Nokia has no choice but to support the OS because it's built into the whole middle to top end of the Nokia product line. Given all of the legacy Nokia code written in Symbian OS, the Symbian-based phones still in development, and all of the Nokia development teams who are used to working in Symbian, it would probably take years to flush all of the Symbian code out of Nokia's products even if it wanted to. Symbian at Nokia is kind of like Cobol at IBM -- you're going to go on tasting that particular meal for a long time to come. But the decision to focus on Qt for applications means that Symbian OS is effectively no longer an app development platform. It's embedded software; the background plumbing that powers Nokia's smartphones (and maybe other embedded systems, if the EU has its way). There's nothing wrong with that, but it makes Symbian irrelevant to most of the folks who talk about mobile technologies online. We don't spend much time online debating which OS kernel a device should use, and that's now the world Symbian lives in. The real competition for developer and smartphone user loyalty in most of the world is now Qt vs. iOS, Android, and RIM. Plus that Windows thing. What it means for Nokia: Hope. Nokia's app recruitment efforts have been hamstrung for years by what I think was an incoherent software platform story. What should developers write their software on? Symbian native, S60, Silverlight, Qt, Adobe Air, Java...at one time or another Nokia romanced just about every mobile platform on the market. Nokia said that was a strength, but actually it was a sign of indecision and internal conflict. Developers crave predictability; they want to know that the platform they choose today will still be supported five years from now. By flitting from platform to platform like a butterfly, Nokia sent the unintentional signal that developing for it was dangerous. Many developers did support Nokia anyway, especially in places where the Nokia brand and market share were so dominant that the decision was a no-brainer. But I think their loyalty did a disservice to Nokia in some ways, because it blinded the company to the shortcomings in its developer proposition. When Nokia had trouble recruiting developers in places like Silicon Valley, it seemed to think they were just biased against it. Time and again, I attended Nokia developer events in California where Nokia concentrated on telling people how big its installed base was, and showing off its latest hero device (N97, anyone?). I can see Nokia's logic -- after all, developers in Europe seemed happy. But the reality was that developers in Europe had given it the benefit of the doubt, despite its poor overall proposition. So the decision to focus on Qt (pronounced "cute," get used to it) is a positive one, in my opinion. This is one of those cases where making any decision is better than the status quo. Qt isn't perfect, but if all of Nokia aligns behind it, any problems in it can be ironed out. Unfortunately for Nokia, this is just the beginning of the changes it needs to make, rather than the end. Nokia's Qt development tools still reportedly need work (link). And app developers don't just need a coherent technical story, they also need a coherent business story. How do they make money? Although Nokia sells a huge number of Symbian-based smartphones, most of their users seem blissfully unaware that they can add applications. That's why Nokia has a much smaller base of applications than iPhone, even though its customer base is far larger. To give you an idea of how much ground Nokia needs to make up, Apple iOS has 60 million users and 225,000 applications, a ratio of about 3.75 applications per thousand users. Android is close behind, with 3.5 apps per thousand users. In contrast, Symbian has 390 million users and 7,000 native apps, a ratio of about .02 apps per thousand users. (link). Yes, I know, there are additional Nokia apps written in Java, but that kind of proves the point that Symbian is plumbing rather than a platform. All of these changes need to be carried out against a backdrop of cost cutting, as Nokia brings its expenses in line with its revenues. One of these days when I get the time I'll write more about Nokia's overall situation, but for now suffice it to say that Nokia is working off the after-effects of several years of growing expenses while revenue was stagnant. Nokia's circumstances aren't quite as bad as the California state budget (if you are in Europe, think Greece), but it's ugly enough to distract from all of the other things the company needs to fix. What it means for developers: Wait. First, the bad news: The switch to Qt means that current Symbian OS developers who aren't already using Qt will need to rewrite their applications. This is the latest in a series of rewrites that Nokia and Symbian have forced on developers over the years. If they had more developers it probably would be causing a big ruckus right now. The fact that you don't hear a lot of screaming speaks volumes. The good news is that Nokia may be getting its act together for developers at last. But if I were working on a mobile application today...wait a minute, I am working on a mobile application today. So here's what I'm doing about Nokia: I'm waiting. If Nokia creates a great business proposition for developers and sticks to it, our team would be delighted to support Qt aggressively. Who wouldn't want to sell to a base of 400 million users? But given Nokia's history of whipsawing its developers, we won't take anything for granted. In particular, we want to see if Qt is actually the exclusive development platform for MeeGo, rather than just a secondary option. You've got to show us the consistency, Nokia. Oh, and ignore Symbeose. I don't know exactly how the Symbeose initiative got started, but to me it looks like the Symbian Foundation lobbied for it for a long time, prior to the recent changes in the Foundation. For the old Foundation, Symbeose made sense, because it was a clever way for a nonprofit to get some OS development done in areas that Nokia didn't care about. But with the Foundation mostly gone, Nokia has no incentive to turn Symbian into a general embedded OS, and in fact it says MeeGo is its OS for use in non-phones. In that situation, I can't picture a lot of other companies committing to build Symbian OS into their products. I'm seeing a lot of interesting rationalization online about Symbian's fate. For example, Tim Ocock, a former Symbian employee, wrote a fantastic post (link) in which he argues that Symbian was very successful as an OS for phones with PDA features, but was never designed for running browsers and lots of applications. That's a pretty shocking statement, considering how many times I heard Symbian advocates boast about the sophistication of their modern, general purpose OS compared to clunky old PDA-centric Palm OS. Remember, this is a company that until very recently was bragging about its superior implementation of symmetric multiprocessing (link), hardly something you need for a PDA. But I think Tim is dead-on in most of his analysis. He did a great job of detailing the technical and attitudinal flaws within Symbian itself, so I won't bother repeating them here. Instead, I want to talk about the flaws in Symbian's governance. Did Symbian fail? The companies that founded Symbian had two goals in mind: to prevent Microsoft from dominating the market for smartphone software, and to prevent Symbian itself from becoming a power that could dictate to the phone companies that funded it. As a result, Symbian's governance structure was designed with a complex system of checks and balances that wouldn't apply to a normal company. To make major decisions, Symbian had to negotiate a consensus among its owners the mobile phone companies, who understood little about the management of a mobile platform and were suspicious of each other and of Symbian itself. This bureaucratic, highly politicized oversight process repeatedly forced Symbian into blind alleys, and prevented it from doing things that a "normal" OS company would take for granted. When Symbian was founded, there was talk of an eventual IPO. The prospect of an IPO is an important recruitment tool -- it lets you use stock to hire ambitious engineers and managers. But the idea was eventually shot down by the owners; it would have made Symbian too independent. Crippled by design. Once the threat from Microsoft receded, the owners' second goal for Symbian -- preventing it from competing with them -- seemed to dominate their treatment of Symbian. I'm not saying there was some central evil plan to hamstring Symbian; there wasn't. But everything the company planned to do had to be approved by the handset companies, and on a case by case basis they vetoed the things that sounded threatening to them. Over time, this forced Symbian away from initiatives and features that would cause users and developers to be loyal to the OS rather than the handset. So Symbian didn't create an app store, and Symbian's developer relations were very confused because Nokia wanted to do a lot of that itself. But the most egregious example was user interface, which Symbian worked on from time to time, but was eventually forced out of by its owners. When I was at Palm, the Symbian project I feared most was "Quartz," the effort to create an icon-driven touchscreen UI for Symbian. Quartz looked very nice, and if it had survived Symbian would have had a dandy iPhone competitor on the market before the iPhone launched. But politics between Symbian's owners forced it completely out of the UI business, and Quartz was spun out into a separate company called UIQ, which went bankrupt in 2009. You can get more details on the whole sad Quartz saga here. An OS without a single consistent user interface is a nightmare for software developers, because they can't write apps that run across the installed base of devices. Eventually, in the face of all the restrictions, the most ambitious, nonconformist people at Symbian -- the ones who drive innovation in any organization -- seemed to drift away in frustration or were forced out when they irritated the owners. Symbian itself retreated into focusing on technological esoterica like symmetric multiprocessing -- things that didn't really differentiate the platform to users, but that the licensees wouldn't object to. From one perspective I guess you can say Symbian was a complete success, because it fulfilled the two negatives that its founders wanted: Microsoft didn't dominate mobile software, and Symbian itself didn't exercise any control over its founders. However, the cumulative effect of the handset companies pursuing their short-term interest was that Symbian was utterly unready to respond when Apple and Google entered the market. I don't think either Nokia or Symbian really understood how the game had changed. Apple designs phones as integrated systems, with the software and hardware tightly coordinated. Nokia could never achieve that level of coordination with an operating system managed through standards committees. And as for Android, Nokia apparently thought that open sourcing Symbian would create a level playing field with Google's free OS. But I think the structure of the Symbian Foundation made that impossible. The fatal flaw of the Symbian Foundation. Although Android is a free product, it's supported by a for-profit corporation that has massive resources. The attraction of Android to phone companies isn't just its price, but its safety -- Google stands behind it with marketing and technical support. In contrast, Symbian Foundation was designed as a rigorously noncommercial institution banned from any business activity. People at the Foundation told me Nokia was adamant about enforcing the ban on commercial activity because it was afraid the tax authorities might rule that the foundation wasn't a nonprofit, endangering the tax credit that Nokia got for donating its Symbian code base. Most open source companies give away their software in order to make money from some other mechanism -- consulting, or support, or a for-fee version of the same code. Symbian Foundation was banned from making money on any of these activities, meaning it could never become financially self-supporting. Forget about marketing support; Symbian couldn't even offer enhanced technical support to licensees who were begging to pay for it. That was especially crippling because Symbian OS is notoriously complex and difficult to program (link). "The difficulty of writing good Symbian code was hugely beneficial to Symbian as a business in the early days. For many years, 80% of Symbian's revenues were earned through consulting for licensees....Symbian’s licensees...each had their own proprietary telephony chipsets that needed to be integrated and their own customisations to the platform in mind....Despite talk of Symbian enabling differentiation, the reality was licensees' budgets were squandered on hardware porting and making the core platform fit for purpose." Picture yourself as a manager at a handset company, choosing an OS for your smartphone. The Symbian option has no advertising support, requires customization, is hard to program, has few third party consultants to support it, and the company licensing it won't help you do the programming. Meanwhile, Google Android is more modern, is based on Java and Linux so it's easy to find programmers, has lots of support, and has user-friendly features like an app store. Which one seems the safer bet? How could the Symbian Foundation ever succeed in that situation? Although people advocating for a "European" mobile OS often complain that Android had unfair financial advantages, the fact is that Symbian was ripe for the picking, a situation that was almost entirely self-inflicted. The lesson for other tech companies: Open source is not magic pixie dust that you can sprinkle on a struggling product to turn it into a winner. Open source is a tactic, not a business strategy. It has to be paired with a business plan that says how you'll make money and drive innovation. Like an army refighting the last war, Symbian was designed to defeat Windows Mobile, but never came to terms with its new adversaries Apple and Google. There's no shame in that for most of the folks who worked at Symbian; they did the best they could to navigate the politics of Nokia and all the other Symbian licensees. But radical change was necessary. I hope Nokia's Qt strategy will be successful. And I'm sure that Symbian code will continue to serve for years as the underlying technology for millions of Nokia smartphones. But except in the dreams of a few EU officials, Symbian OS is now just legacy plumbing. Posted by Michael Mace at 9:22 PM Permalink. 44 comments. Click here to read post with comments. Good summary of the "life of Symbian". Shows how Nokia really kept its eye off the emerging smartphone market at its peril. It is a shame as there are some great features the Symbian OS offers which iOs and Android doesn't currently offer. However, it is only a matter of time before comparable features are added. Nokia has a lot of catching up to do with "Qt". Thanks for sharing. I really enjoyed reading your well-researched and well-written article. Michael - I've always liked your work. This was a very helpful writeup. As a US-based exec in the mobile field, I've always felt like I should understand Symbian better. Last week's announcements were a bit mystifying to me, and your summary was a great way to get my bearings. Thanks! Delightful read, I found it very useful. Actually, there were a few more twists and turns in the story, and from my perspective the downfall began with the calamity of UIQ 3 - a platform that destroyed the smartphone business at Sony Ericsson and contributed to Motorola's European market woes significantly. At the end of the day - Symbian reaches mostly a "non-smartphone" user-base today. At WorldMate, while we had millions and millions of users on Symbian, it was about 100 times harder to monetize them than, say BlackBerry users. It's the demographics, the lack of a commercial platform etc., etc. It's also about 4x harder to develop apps for Symbian compared to iPhone (just a rule-of-thumb we've developed), so why bother? Frankly, I don't see Symbian re-emerging. Regardless of investment, commitment etc. - the brand is poisoned from the perspective of developers. If the kernel is any good, re-brand and re-purpose it and launch it as something else. Much of what doomed the Symbian Foundation was simply due to Nokia’s poor planning. The former Symbian licensees needed to port all their old code to the new S60-based platform. That was a huge amount of work which cost each of them millions. Some accepted the hit, in part because the more support the platform got the more it could succeed (plus there was the savings from no license fee). Others just quietly backed away. Then, a few months later, Nokia announced the new Symbian^4 UI will be all Qt-based and incompatible with the S60 UI everyone just spent months implementing. All the money the former Symbian licensees spent would have to be spent again porting to this new platform. It should be no surprise at all that they just gave up. From the developer point of view this was even worse. Nokia, right after he N97 Mini came out, effectively said "Don't bother developing for this phone or any other Symbian-based phone until 2011 or 2012." A developer who was already using S60 could get by just updating and waiting for the switch. But no UIQ developer, and certainly no new developer, would have any incentive to write for the new Symbian platform. So it's not just uncertainty for the developers, but the manufacturers were scared off the platform too. They just had no idea how much money they would have to keep pouring into the platform before they could make a profit. Had Nokia been more organized internally, it could have announced a new Qt-based UI before buying Symbian and open sourcing the OS. A nice swish new GUI that's easy to develop apps on would have given the other Symbian phone manufacturers something far more exciting in return for handing over the keys to the OS. Why didn't Nokia do this? I suspect it's simply that Nokia was just too big and that the people who planned the move to Qt had nothing to do with the people who planned the Symbian buyout. Great article. Loved the focus on the need for Nokia to woo developers and how they have missed the mark. I attended one of these Nokia sponsored developer events in Vancouver 6 months ago. The disconnect between Nokia and the dev community was profound. 5) I can count the number of people with a Nokia smart phone I personally know on one hand (I know it's different in Europe). The reality was Nokia came to give a dog and pony show and expected everyone to jump on board. They need to bring the love to the developer community along the lines you have suggested Mike, and I would suggest they do more to make app development as frictionless as possible. Did you ever get a chance to play with a Sony Ericsson P800 - the first UIQ (Quartz) consumer device? With the keypad being optional I do agree with your comment about it being "iPhone - way before iPhone". I had the opportunity to play with a few UIQ devices and IMO, they got progressively worse (I'd still love to see a revamped P910a with that flip-keyboard). All in all, a great read that really makes sense of it all. It's quite sad, really - I loved Symbian for many, many years. Unfortunately, what with all this moving bits around, the actual platform hasn't changed much in the past 4 years - it's very much the same, just a little bit prettier. Great analysis once again. This is spot on. Symbian Foundation spent a lot of their effort celebrating their 'openess' but, IMHO, failed to recognize that this was not the end goal. Qt will bridge the long transition to Meego and provides a great platform to build an OS agnostic future. Whether Nokia can successfully execute in winning the hearts and minds of consumers and developers reamins to be seen. "Actually, there were a few more twists and turns in the story, and from my perspective the downfall began with the calamity of UIQ 3 - a platform that destroyed the smartphone business at Sony Ericsson and contributed to Motorola's European market woes significantly." >>At the end of the day - Symbian reaches mostly a "non-smartphone" user-base today. Very good point. In my opinion, the average Symbian user today is what we used to call a "feature phone" user five or six years ago. Very useful statistics on the ease of development and monetization. Thanks for the info. >>The former Symbian licensees needed to port all their old code to the new S60-based platform. ....Then, a few months later, Nokia announced the new Symbian^4 UI will be all Qt-based and incompatible with the S60 UI everyone just spent months implementing. Yes; consistency is critical when you're dealing with small developers who can't afford restarts. Nokia is such a big company that I think it's very hard for them to understand this. >>Did you ever get a chance to play with a Sony Ericsson P800 - the first UIQ (Quartz) consumer device? Yes I did, and I thought it was a great design, although the keypad was a little awkward. But the combination of physical keypad with larger screen was a winner. Somebody ought to implement it again. >>Symbian Foundation spent a lot of their effort celebrating their 'openess' but, IMHO, failed to recognize that this was not the end goal. Agreed. Although a lot of developers say they want openness, and they value it as an ideal, what most of them really want is a way to make money. WHAT NEXT ? AND WHEN !!!?? Superb post Michael, and applaud you on it too. I like many others have been a poweruser of Symbian powered Nokia handsets, and sadly have witnessed its demise over the recent years. I have recently bought an iphone 4, and its a breath of fresh air. I personally was getting tired of the same tastes of Symbian in differently labelled bottles. Great post, Michael, and very interesting comments as well. It wraps up all the mistakes Nokia & Symbian made throughout the last years. Amazing! Although I agree with most of the criticism, I still believe there's a chance for Symbian to evolve and survive. We'll see. Re: @Anonymous PlatSec comment: the platform security model itself isn't that bad after all. The process of using Symbian Signed before Express Signed was introduced has been causing all the trouble. A mixture of arrogance, protectionism and setting up a cash-cow system has led to the stand-still of third party app development for Symbian in 2006. Nobody really cared about it because the iPhone and the AppStore weren't "invented" yet and "Apps" weren't that important after all. Effectively, the Symbian community lost at least a year by Symbian Signed, though. I couldn't agree more with the comments on Nokia's recent smartphone strategy: talking about Maemo, MeeGo, the end of Symbian based N-Series smartphones, trying to introduce Symbian^3 and a binary incompatible Symbian^4 with a whole new development environment in less than half a year has made Symbian a No-go-area for developers back in 2009 already. I wish Nokia had listened to developers a bit more closely and created a modern light-weight UI toolkit running on S60v3 and v5 as well as on Symbian^3. At least cross-platformness isn't used in Qt marketing much anymore and we begin to hear about "tailored for mobile user experience" now. Nokia even announced to use Qt themselves!! I'm looking for an answer though: WHY has Symbian/S60 not evolved earlier? What was the reason for stopping development of a proper User Interface on top of a good OS? Why has Symbian become synonymous with crappy hardware? Symbian based smartphones have highest % share globally, not in the USA. And once the coming updates to the user interface are available early next year, Symbian OS will get additional boost. The OP forgot to mention, that Sharp and Fujitsu announced 11 new Symbian devices last week. Oh my.... I know this a developers forum however I'm really worried since I recently purchased a Sony Ericsson Vivaz Pro which uses Symbian. Did I make a bad decision? BTW, All the older mobile OS's are dead . Be it WM,Palm OS or Symbian. The current ones are iOS,Android,Windows Mobile 7(Silverlight based) and Nokia Maemo revolving around new concepts of mobile usage like stricter security, integration with app store, multi touch, cloud based push , providing controlled environment to conserve battery and finally integration with various cloud based activities. So Symbian is not an exception, it has its extinction path . It is simply an old OS and need lot of rework to make it new generation OS and it is easier to go with newer OS rather than rework. There single most prominent sin they all committed was...they all inundated the developers and the users. Palm, SONY, RIM, MS and Nokia they all did just that. Think of me I just brought a Treo 680 just to give a breathing room to Palm to develop the Pre right after my cracked marriage with Treo 650, They never delivered. Same story I had couple of Alcatels and the a Nokia 6610 prior to that. And I know the friends who did the same who had MS CE phones. I envisioned a iPhone like when I used SONY CLIE SJ33 back in 2002, then Treo 650 gave me a slight taste of it. Phone makers thought the users (developers too) not demanding as much as the operators, so first they cater the operators. I wanted an INTERNET PHONE at the end of my use of CLIE SJ-33, I was OK with Treo 650 with EDGE, but the browser sucked anyway I had no other choice. No one ever did read the need of the market, even though it was niche at that time except unheard Apple. I still have my Nokia 6610 as a backup phone, it serves me well, but today the paradigm shift is so vast that the last thing I wanted to do with my shiny iPhone 4 is making a call, antenna-gate or proximity issues? never heard of it. Then Apple had everything in place to give that heaven send device to me as well as to the lost developer community. RIM is dead in the long run too. Most people just don't realize it. I'll reply to the other comments later, but I wanted to jump on this one quickly. >>I recently purchased a Sony Ericsson Vivaz Pro which uses Symbian. Did I make a bad decision? The right phone for you is the one that does what you want, at a price you can afford. If you're happy with your new phone, then you made a great decision. Don't give it another thought. Quale tipo di telefonino e con che sistema operativo è migliore e con possibilità. - nokia offered there full support as technucal support to saudi telco and trained their staff for nokia conumer inquires , were other mobile os such windows did not. 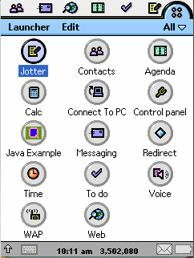 Nokia is based on java, and has good relation with adobe , i myself used to program nokia in flash lite , Nokia did not move to support Flash 10.1 Nor to support multitouch and Multiprocessing which all "JAVA" that nokia is baes on , nokia programmers are used to program in java just android. Nokia problems is purely marketing and research , THEY JUST SAT ENJOYING THE FAME WITH THE OLD STUFF WHILE OTHER COMPANIES MOVED FASTER THAN THEY HAD. 1) Avkon, the old and horrible UI layer will be kept available so that old code continues to run on newer devices. So there is no need to start porting immediately. If your app desn't need anything fancy, like pinch zoom. 2) the Symbeose situation is more subtle and/or weird than you describe. Nokia itself is one of the the biggest company behind the consortium that will use Symbeose. The magic word is Artemis, www.artemis-ju.eu. The weird thing is that symbeose is targetted at automotive (DaimlerChrysler is a member), but so is MeeGo, Nokia's other Smartphone OS. Very good article. Every platform is having their ups and down. It just about keep innovating. Nokia is loosing battles and if does not wake up then will loose the war also. I think Nokia has still potential to defeat competitors with Qt. its a wait and watch time. The life of Symbian has been vanished by Nokia ! I think so. OK, in essence Mace says Symbian is now just plumbing and therefore irrelevant to consideration of mobile OSes (e.g. by customers/developers/analysts). Well, he's kind of correct in a very blinkered shortsighted way, with some glaring factual and analytical errors. Like saying "the space shuttle is just a flying machine, end of story". Symbian is, I've noticed, increasingly pushed by Nokia as the platform for their smartphones, and referenced in 3rd party sales material (e.g. online and offline real world stores) - I have not seen this before. So in fact the Symbian brand is being built up in the minds of customers. Developers - yes, Nokia is putting the emphasis on Qt from now on, and yes that's cross platform, so if you align solely with that, yes you can somewhat shut it out of your mind that you are developing for Symbian per se. But you can still develop in the variety of other languages that Symbian allows, this is not being stopped - so Symbian C++ (allowing backwards compatibility without the need for the Qt Smart Installer), JavaME, Python, Flash, WRT, Basic, etc. Analysts - they will still refer to Symbian in comparisons with other OSes simply because that is the only technically correct thing to do. Qt is a development framework, it is not an OS. Symbian is the OS. Mace says "The real competition for developer and smartphone user loyalty in most of the world is now Qt vs. iOS, Android, and RIM. Plus that Windows thing.". That is technically incorrect, comparing apples and oranges merely to support the tone of the article. It is not correct on any level. Furthermore, consumers are technically ignorant, which means they can be swayed. Nokia will not sell 'Qt phones'. It will sell 'Symbian phones' and 'MeeGo phones' and will clearly distinguish between them because that is a fundamental selling point for them, a clear mark of differentiation. So the consumer will know Nokia phones (which continue to be the biggest sellers in the market by a long way) as 'Symbian' or 'MeeGo' based, and this will put further pressure on developers and analysts to at least refer to these systems in those terms, rather than as 'Qt', because they will simply use commonly accepted parlance. Mace writes: "Although Nokia sells a huge number of Symbian-based smartphones, most of their users seem blissfully unaware that they can add applications." - that was the case once but is increasingly untrue (and I note that Mace looks to the future in this article where it suits his point therefore I do the same here), Ovi is very very widely known now and doing 3m downloads a day (75% apps). Then: "That's why Nokia has a much smaller base of applications than iPhone, even though its customer base is far larger." Then: "To give you an idea of how much ground Nokia needs to make up, Apple iOS has 60 million users and 225,000 applications, a ratio of about 3.75 applications per thousand users. Android is close behind, with 3.5 apps per thousand users. In contrast, Symbian has 390 million users and 7,000 native apps, a ratio of about .02 apps per thousand users." This is somewhat ridiculous, and Mace does himself no favours using this point. Why are apps a point of definition for what constitutes a smartphone platform? How...American. Why does any platform need a particular number of apps anyway? Especially when as with more iOS and Android apps they are absolute drivel and many are just duplicates of others. If apps are important what is wrong with a platform having 'enough apps' to keep users happy? OK, next: "The switch to Qt means that current Symbian OS developers who aren't already using Qt will need to rewrite their applications." Incorrect 100%. Developers with existing skills can continue to use them, they do not HAVE to switch to Qt. Mace also gives much kudos to Tim Ocock's article but as I wrote previously "Well, history aside, his[Ocock's] reasoning is bonkers rubbish. "internet phone"!? Nokia were making these and getting millions on the internet before Apple and Google and even the US, knew what a smartphone (or an internet phone) was. The author hilights an issue that is resolved by installation of e.g. Opera Mobile, or the forthcoming Symbian browser revamp from Nokia." In short Michael Mace makes the fundamental errors of deciding in advance the kind of story he wants to write and then skewing facts and objectivity to fit that, and in doing so, he's beating Symbian and Nokia over the head with mistakes of the past that they have already thrown off and moved on from. He's fallen into the classic trap of viewing the situation through the blinkered and myopic eyes of the US tech and mobile industry. If I had time, I could also write an article that used facts to paint a very different slant on the situation, and a very different conclusion. It strikes me that actually iPhone and Android are in many ways continually playing catchup with Nokia (and have been since inception). The fundamental error of many people is to take the slip in competitiveness of Nokia in the areas of UI, browser and apps, and see that *as the whole story*. It is not. Symbian leads the way in features and power and memory management. Nokia hardware leads the way in features and reliability. And for both, a clear lead in price/features ratio (and I'm talking quality of some features, not just their presence). Meanwhile, the years of refinement that gives Symbian it's advantages can not suddenly be duplicated to give Android or iOS more features, better multitasking (or any in the case of iOS), and decent power and memory management - AND the ability to run better on the much bigger pool of the low end smartphone market. Excellent article Michael; probably the best I've read in a while on anything mobile. Developers are seeing the benefits of publishing their apps through Nokia's Ovi Store, as evidenced by today's announcement made by Nokia. In fact, more than 400,000 new developers signed on to Nokia in the past 12 months. As soon as you get your new Nokia handset, it’s worth heading off to the Ovi Store to see what goodies you can find. From mapping apps, to games, to battery monitoring apps, there really is something for everyone. This versatility is reflected in the current amount of interest in the Ovi Store. Even though you can download apps from elsewhere for your Symbian-based Nokia, the Ovi Store has now hit the 3 million downloads per day mark. Other figures released by Nokia are just as impressive, such as the 165 million-plus people that use the Ovi Store. According to Nokia, new users are also growing at a rate of 250,000 per day, and 90 per cent of visits to the store results in at least one download. What does all this mean for you? Well, the more people that use the Ovi Store, the more interest developers are going to take. Which means you’ll be able to download better and better apps. Which in turn will draw in more customers, and the whole thing continues to get bigger and better. Michael, You have a comprehensive list of the problems, but at the end, I think the story was much simpler. After Android came out, everyone had other options: Nokia had Maemo/MeeGo and the others had Android. All the original Symbian and Symbian Foundation partners fled to Android — especially SonyEricsson, Samsung and Motorola — and so Nokia was left supporting Symbian on its own. Meanwhile, since Maemo first shipped, Nokia internally has been ambivalent about Linux vs. Symbian. (I remember visiting Symbian and everyone was nervous about reading the Maemo tea leaves from Espoo.) QT was a way for Nokia to hedge its bets, which also made it easier to abandon Symbian for Maemo (now MeeGo). Yes, I agree that Symbian is an idea whose time has passed. Part of the problem is that Nokia destroyed whatever talent or leadership existed at Symbian. Frankly, I think Nokia is even worse at understanding software than Samsung or Motorola. The difference is that Sanjay Jha came in from the outside, pulled the plug on Motorola's crazy platform strategies, and bet the farm (rightly or wrongly) on Android. Samsung seems to always be making side bets, and outside Korea the bet on Android has paid off. To answer your original question: No, Symbian is not dead, it is more alive than ever (see the N8 winning prices, receiving lyrical reviews, did you even try it!?) it just might take some time for you folks in the US to realize what is what in this world. Every single day some 1.2 billion people use a Nokia. How much time are you willing to invest to make your paid app available to such a large audience? Nokia sales were up some 60% YoY and Ovi Store app downloads are at 3,5 million downloads per day. Are the dead capable of dancing? You tell me. What you also don't seem to realize is that when you speak of Android, what you are really talking about are phones made & sold by the likes of Samsung, HTC and Motorola. That's right, the very same companies that already lost this fight a long time ago and perhaps save for Samsung none of these stands a chance in hell at becoming as dominant in mobile as Nokia in this world. And guess what, as soon as Samsung sees the opportunity they will jump to their own OS (Bada) and what will be left of the Android bandwagon then? So what you have is essentially an industrial design company (Apple) farming out the construction of it's products to places like Foxconn getting a marginal global market share at best but happy taking the profit (the affluents get a pet puppy on wall street though), and an advertising company with pipedreams that puts it's own logo on the HW of the loosers of the mobile phone industry. Neither of these companies actually build your phone by themselves. They can't do it. Symbian's success on the consumer side is therefor more pronounced than ever. The more it gets bashed the more people seem to buy it everywhere else in the world. Growing at 60% in a market that is growing at 100% is not something to brag about. 3M downloads a day is not something to brag about. It sounds like a big number but with over a billon users, it is incredibly small. And by the way, Nokia includes everything in those 3M downloads, including wallpapers, ringtones, etc. Fantastically well written, and - IMHO - completely sums up the experience I have had with my N97mini. Very nice reading, thank you. Would you be surprised if Nokia would switch to Android next year? Even if Symbian fades away in coming years, I think it helped mobile phones grow a lot. It's November 2011, and Nokia did the side-swipe you alluded to. They announced they were abandoning Symbian, Qt and Meego, and Adopting Windows Phone 7, many months before the first Windows Phone devices would be out. They have suffered quite dearly for it too. It seems Apple, Google, HTC and now Samsung are the only good news in the Mobile Industry presently. You did a great job in this blog, but the premise of this is that Symbian competes with other Smartphone platforms. It has only recently started to compete with the ecosystems of Apple and Android who have critical mass. The platform was directed mainly toward handset markets and to the phone makers. Apple's iOS and Android are targeted toward Developers to create a network effect between users and developers. From both a technical perspective and a overall business perspective, Nokia doesn't get it. The company seems more oriented toward their handset market (feature phones), and doesn't quite grasp the concept of ecosystem, nor the culture and business of software development. - Update Qt to be state of art app platform (robust, easy to use tools) if Symbian is continued. - Develop web/cloud platform (Qt to HTML5 library? ), start PaaS/SaaS with applications to promote platform and integrate into mobile offerings. Will E-Readers Eat the Tablet Computer?